Welcome to DIAMOND xCHANGE, the first ever conference presented by the Creative Diversity Network. Come and play with us. It’s diversity but not as you know it. Unlike other diversity conferences, DIAMOND xCHANGE will explore the power of data collection and other evidence to advance your diversity agendas, strengthen your business models and maintain a competitive edge. 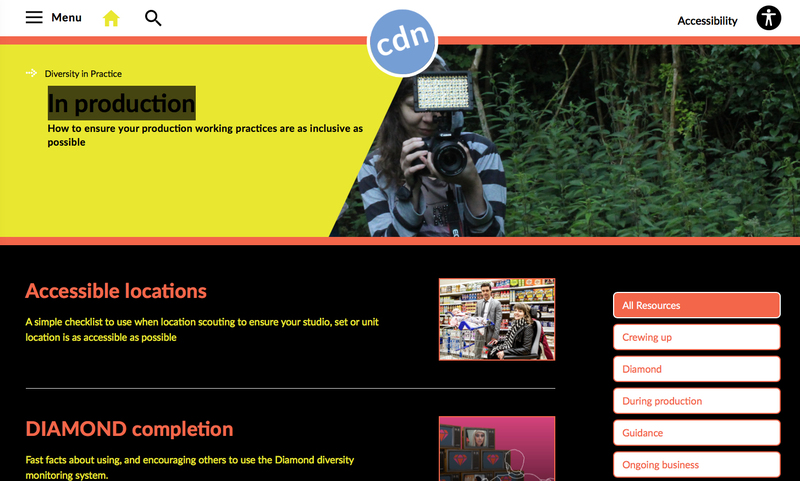 CDN is the industry body created and funded by the UK’s broadcasters and tasked with inspiring and supporting the British television industry to increase diversity and inclusion across the entire supply chain; including on and off screen. We have collected and published two years’ worth of data since the launch of Diamond – CDN’s ground-breaking data project – and we want to share our learnings so far with you. We think that the best way to do that is provide an opportunity for influential game-changers from across broadcasting and other interconnected industries and sectors to share their experiences, expertise and examples of programmes of work which have successfully promoted diversity and inclusion. No two sessions will be the same. One moment you will be listening to experts from data communities the next you will be encouraged to share your biggest diversity fear with a room full of strangers. Alex Mahon, CEO, Channel 4; Gary Davey, Managing Director (Content), Sky; James Currell, President, UK, Northern & Eastern Europe, Viacom; Charlotte Moore, Director (Content), BBC and John McVay, CEO, Pact. We will feed you. We will water you. We will bring you the brightest and best. We will all share and learn. DIAMOND xCHANGE will be a one-of-a-kind event which will inform and open the diversity conversation to a wider audience than ever before. This is an energising day looking at diversity done differently, where we will tear up the rule book and redefine how change can be made. You will leave this conference with the power to make positive change! • SME Organisation – Small-to-medium businesses, for those of you working for a company with less than 50 staff. Early bird and group discounts available. • Large Organisation – Ticket price for those working for large organisations of over 50 members of staff. Early bird and group discounts available. Level entry access and lifts available. If you have any further access requirements please don’t hesitate to let us know by 06.03.2019. You might also be looking to make connections, or find out what makes TV think they are doing so well. Or you could even be on the other side of the fence, but that’s cool as well, we want you to come along. CEO’s, MD’s and Executives across television, film, theatre, advertising and gaming, as well as Heads of Diversity and Inclusion and Marcomms executives working in the creative industries.